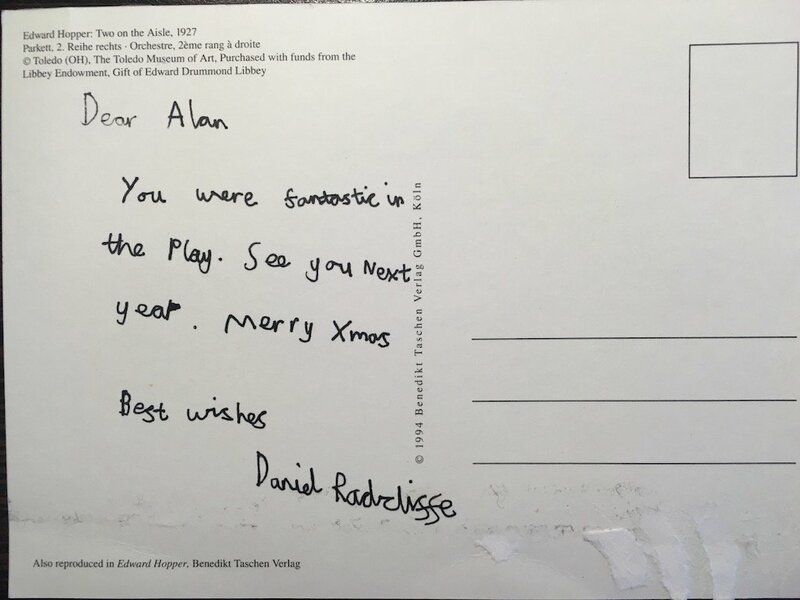 Neil Pearson Rare Books has obtained Alan Rickman’s archive of scripts, letters and photographs. 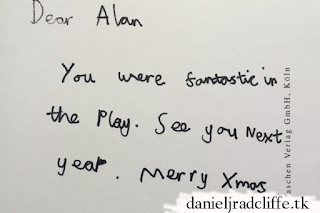 Among the collection is a postcard written by Daniel as a child wishing him a Merry Xmas and praising his performance in an unknown play. On the front of the card is the painting Two on the Aisle by Edward Hopper (1927). The archive will be on sale this spring. For more info, visit Neil Pearson's website. Update: 20th April 2018. 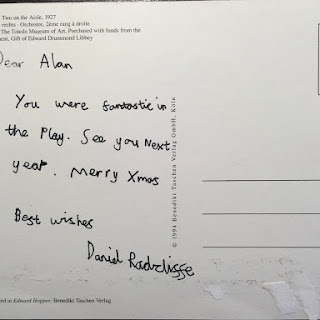 The card was written by Daniel in 2001 according to a new post on his Google+ page. And now we know which play he mentioned too. 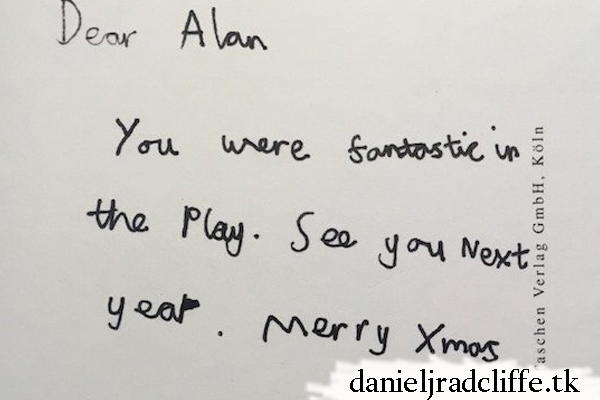 Dan (12 years old at the time) sent a very nice note to Alan Rickman after seeing him in Private Lives. Happy Friday!